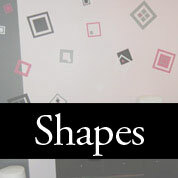 Find the perfect design from the hundreds of original wall decal & wall decor ideas we offer. If you have an idea of what you're looking for but you aren't sure where to find it. The categories we have shown below will definitely help to guide you through our wide selection of vinyl wall art decals, vinyl quotes, custom wall decals, stickers & vinyl sayings. Have fun shopping! Our personalized vinyl wall art, vinyl wall decals, wall decals for kids, prints, home decor & monogram gifts go anywhere — homes, dorms, apartments, retail spaces, office areas, appliances, sanctuaries, universities, schools, cafes, banquet halls, exhibitions — wherever there is space! 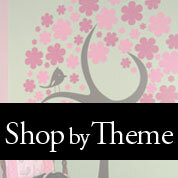 We have so many choices in various themes available from family wall decal stickers to vinyl wall stickers for kitchen. If you still can't find the customized vinyl monogram wall decals, wall quotes or graphics you have in mind, please contact our graphics team with your ideas and we'll help set up the perfect design for your space. As you can see we love designing & creating — we would be happy to transform your idea into a masterpiece! Take a look at what other customers have created in our Wall Decal Gallery. Discover creative & unique decorating possibilities for all occasions with Right On The Walls removable vinyl wall art. We offer thousands of high-touch and high-class personalized designs incorporating your own custom text, photos or ideas. What makes us different than the other guys? Right On The Walls has specialized in print & design using decorative lettering, vinyl phrases, quotes and other graphic arts for a combined 45+ years. Our products are designed by creative professional graphic designers from our own in-house team — utilizing only the very best software and materials available. We take pride in providing original content to our customers. We believe in continued education and make it our priority to stay on top of current design trends, hardware and software to consistently provide the best service and products. We work closely with you to create products you are proud to display in your home, office, apartment, dorm or other space. Although we are often imitated — we are never equaled. 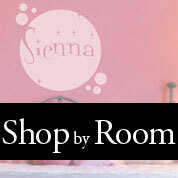 Wall Decal Stickers for home decor is one of the easiest and fastest growing trends in interior design. 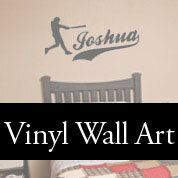 Our removable vinyl lettering and custom wall decals will instantly add a touch of class to any room in your home. Our personalized wall stickers look hand painted without the expense or mess — safe for interior walls and easy to apply, easy to remove.